There are very few vehicles that can come even close to comparing with the 2015 Toyota RAV4, although many will try. The world of the crossover SUV is quickly and greatly expanding, making it one of the most desirable types of vehicles around. This is the type of vehicle that can truly handle anything. From towing and hauling to keeping passengers occupied for long car rides, the RAV4 can do it all. It is powerful, efficient, stylish, high-tech and super user-friendly. When comparing the RAV4 to others in its segment, for example the 2015 Toyota RAV4 vs 2015 Nissan Juke, the RAV4 really shows off its sport capabilities and its value as a family-friendly vehicle. It beats out the Juke in not only power and space, but also in standard and available features. If you’re going to be getting a new vehicle, make it a Toyota. Even better, make it a RAV4. This will be one of those vehicles you won’t know how you were able to live without for so long. You can see all of the models and colors in our inventory by clicking on the link below! Get the 2015 Toyota RAV4 today at Attrell Toyota! Sure, there may be other crossovers that are less expensive than the RAV4, and you might be able to find an SUV that has a better fuel economy rating than the RAV4, but there is one thing that they won’t ever be able to match: the Toyota reputation of reliability and longevity. Toyota vehicles are well-crafted and meant to last for years. The 2015 Toyota RAV4 is no exception. It is one of the best-selling crossovers for a reason, and for the 2015 model year it comes with a number of fun features and safety specs to keep everyone happy. 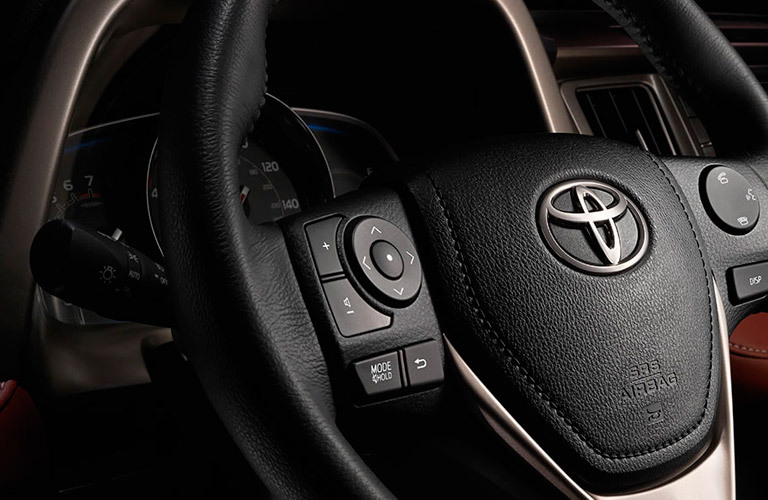 Some of our favorite features included in the 2015 Toyota RAV4 include remote keyless entry, power windows and locks, cargo tie downs, steering wheel controls, 2 12V power outlets, a telescoping steering wheel, 60/40 folding rear seats, 4 speakers and Bluetooth connectivity. All of these features make a fun, innovative atmosphere. Test drive the 2015 Toyota RAV4 today at Attrell Toyota and see why so many drivers before you have already fallen in love!